It’s been 11 years since Canada last won the Miss Universe crown. 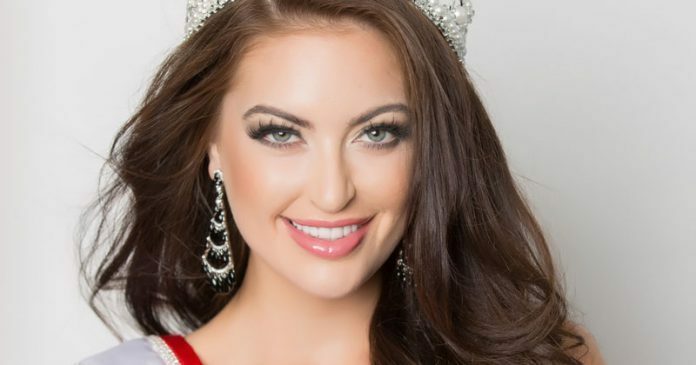 This year, the pressure is on the 23-year-old Siera Bearchell to bring Canada back into the Miss Universe semis and hopefully bring home the top plum. No stranger to pageants, Siera competed in Miss Teen World 2009. 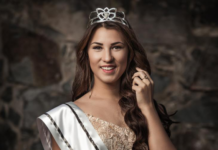 Last year, she represented Canada at the Miss Supranational pageant where she finished 1st runner-up. Let us get to know more about her. Tell us something that most people don’t know much about you. Most people think I am quite serious when I actually have a funny sense of humour. I do not take myself too seriously and one of my favourite actors is Will Ferrell. I am so fortunate to have a family who have amazing senses of humour and are always laughing and cracking jokes. What is the biggest mistake you made in your life and what did you do to make it right? When I first started my post-secondary education, I studied the sciences. While I enjoy biology, chemistry and the health sciences, my true passion was in business and law. I am currently in my third year of law school and could not be more excited about becoming a lawyer. I want to use my law degree to help others understand their rights, grow my business and one day work with the UN. Canada is known to be welcoming, kind and we often do what we can to help others around the world. Canada is a place of opportunity. We are fortunate to have free health care, quality education and many opportunities that not all are fortunate to have. We are known for hockey, maple syrup, having cold weather and saying “sorry” a lot. I am so proud to be Canadian and to represent my nation of opportunity at Miss Universe! What is your beauty secret? My beauty secret is being myself. I smile often and am always confident with who I am. The most beautiful things we can wear are a smile and confidence. What is the most difficult thing you did to prepare for the Miss Universe pageant? Why did you do that? One of the most difficult things I have encountered while preparing for Miss Universe is dealing with body image. I have been heavily criticized about my body since winning Miss Universe Canada. Only days before winning Miss Universe Canada, I ran my first marathon (42.2 km!). I was fit and strong. However, I was called fat, overweight and heavy. No woman should face comments like this and it has become my passion to advocate about body image to young woman and encourage them to not allow the comments and criticisms of others lower their self-esteem and self-worth. Social media is an advantageous tool for me because I am able to share my key messages and platforms with the world. I am from a country where Miss Universe is not as well known as other countries and social media helps me share who I am to the world. Miss Universe provides a platform for young women to advocate issues and ideas that are important to them. Miss Universe is about representing the women of the world and demonstrating how powerful women really are. Whether it be sciences, law, art, sports, politics or acting, Miss Universe is an event that represents the women of the world. Who is your all-time favorite Miss Universe and why? My favourite Miss Universe is Natalie Glebova, Miss Universe 2005 from Canada. I watched Natalie win the Miss Universe title when I was 12 years old and wondered what it would take to one day wear the ‘CANADA’ sash at Miss Universe. Her success inspired me to ultimately compete at Miss Universe in her footsteps. What qualities do you feel you have that would make you a great Miss Universe? I want to win Miss Universe for the women of the world. I am compassionate, determined, hard-working, friendly and have a fun sense of humour. I don’t take myself too seriously and know I have what it takes to be a successful and inspiring Miss Universe!